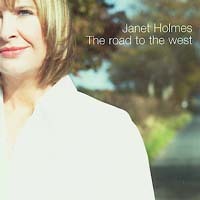 The Road To The West - sleeved in the beautiful, dreamlike art of pre-war Belfast art visionary John Luke - encompasses influences that range from the bittersweet country sound of Emmylou Harris to the sweet soul of Paul Carrack, the yearning spirit of Irish traditional music, and the glorious noise of The Who. Featured musicians include international trad fiddle virtuoso Martin Hayes (playing electric! ); Ireland's only Woodstock veteran Henry McCullough (Joe Cocker, Wings), (playing acoustic! ); solo guitar star Colin Reid; and Texan prog-rock maestro Barry Bynum. 8. Love Will Keep Us Alive 9. The Wind & The Rain 10. How Soon Is Now? "This is a very fine album ... if you have tendencies toward Irish music, folk, bluegrass, or just enjoy hearing top-notch musicians having a good time, then investigate this."